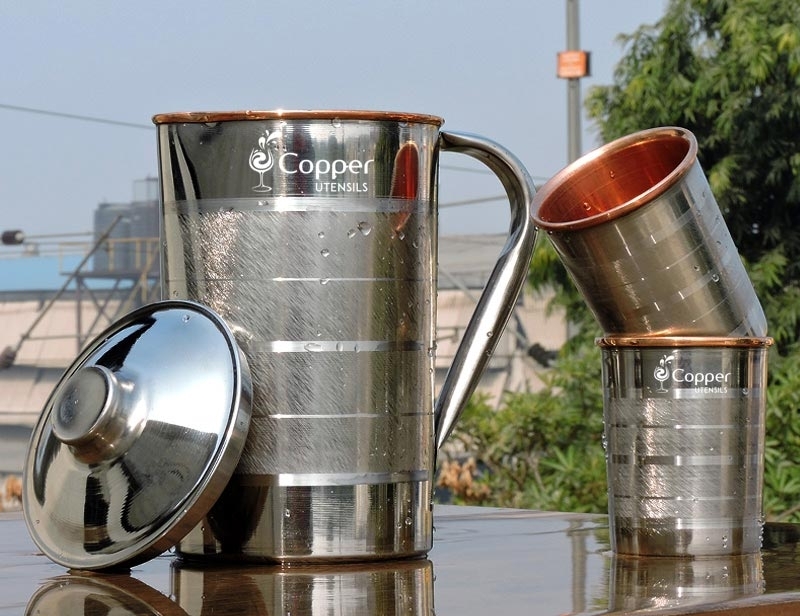 Stainless steel exterior and copper interior body. 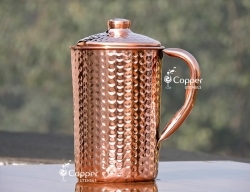 Intricate ring design on the out wall for added appeal. 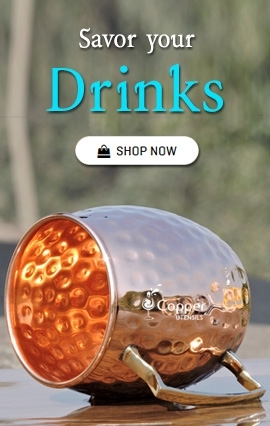 Comes with two matching tumblers. 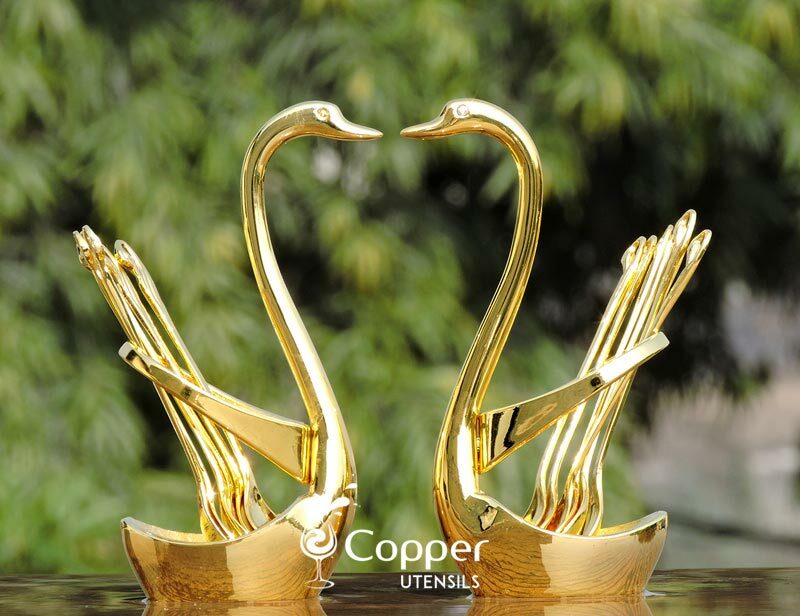 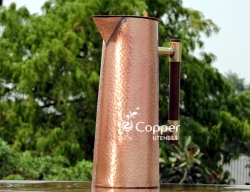 Storing water in copper utensil is one of the most economical and convenient ways to purify water while adding healthy properties to it. 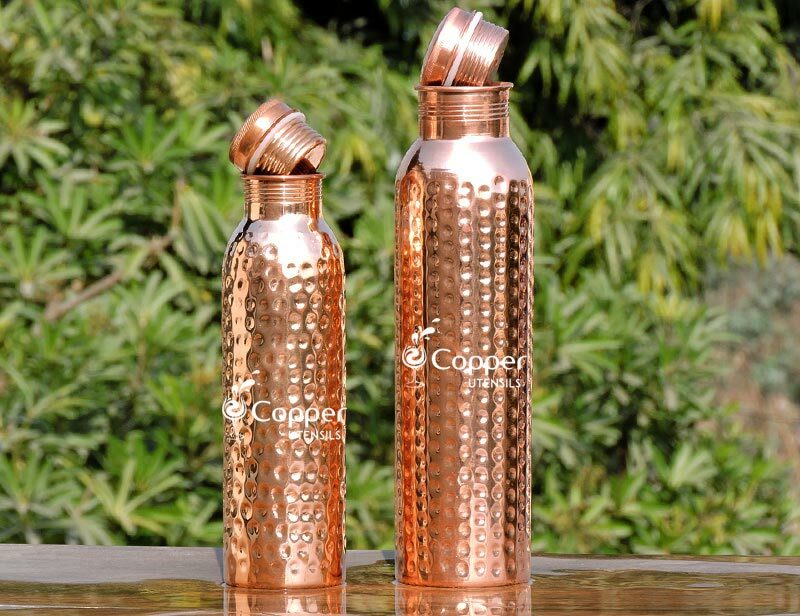 This practice of drinking copper treated water dates back to the ancient times when there was no fancy technology present. 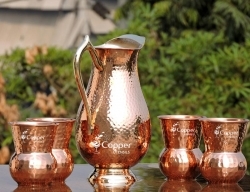 It is suggested that drinking 4-5 glasses of copper treated water in the morning can help in curbing away cardiovascular diseases, arthritis, thyroid, indigestion and much more. 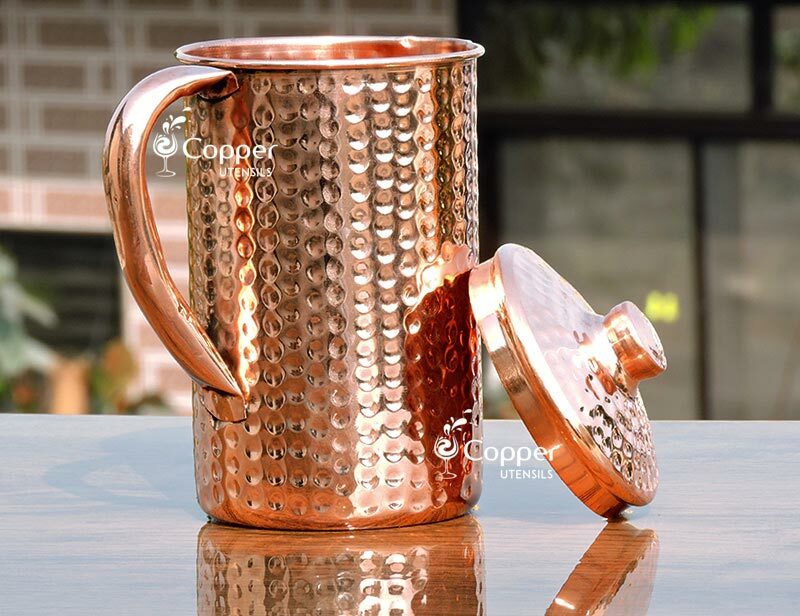 It also builds the immunity and thus prevents you from falling sick too often. 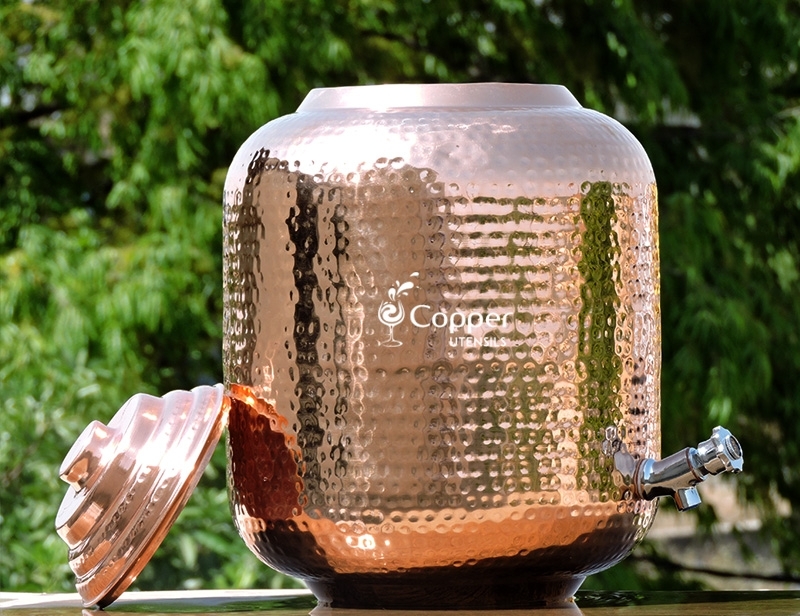 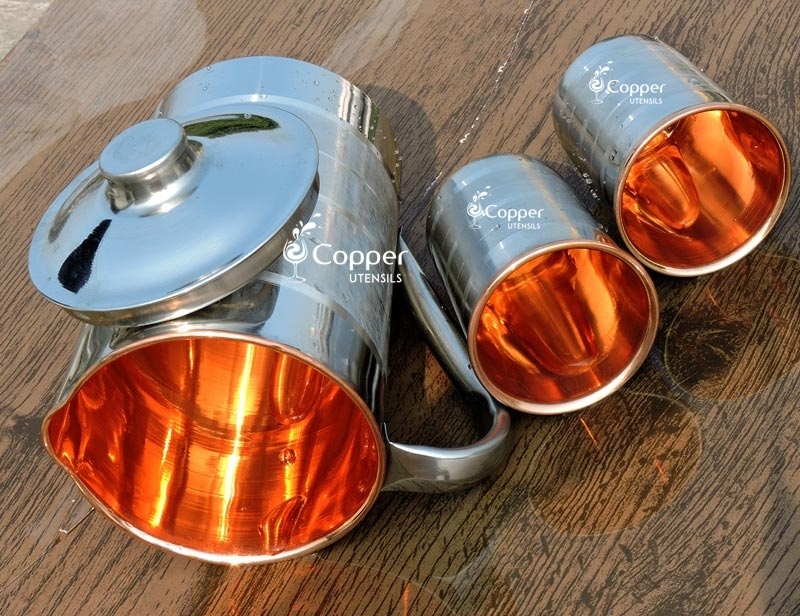 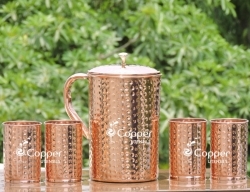 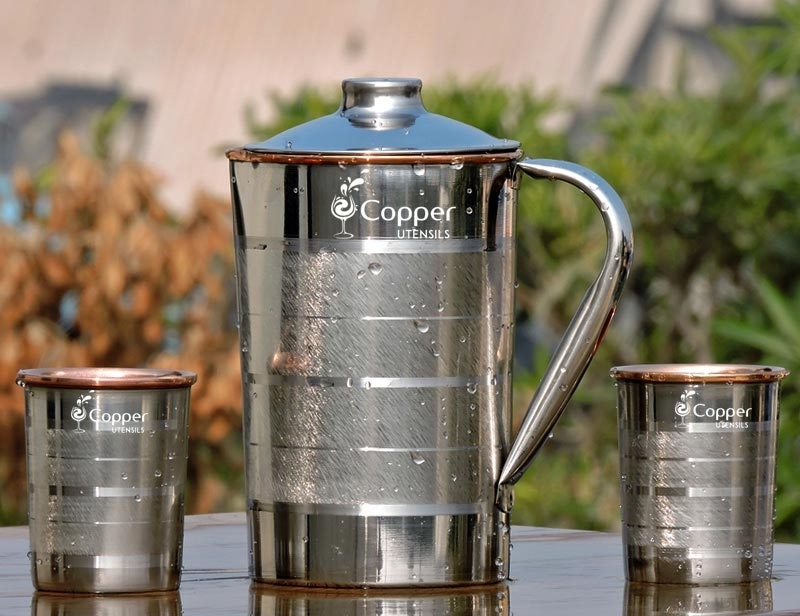 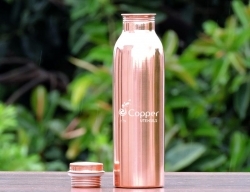 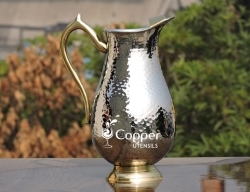 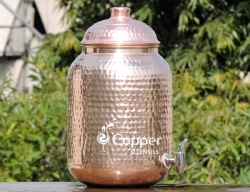 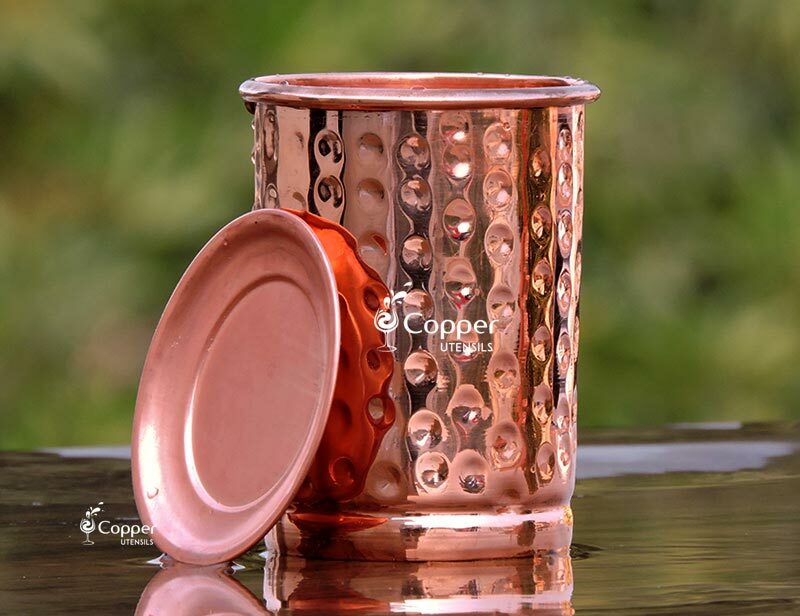 Our copper jug outer stainless steel with lid is the perfect option for storing water and thus reaping the benefits of copper treated water. 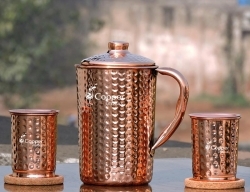 The stainless steel exterior ensures easy cleaning and the copper interior ensures that you get fresh Tamara jal every day. 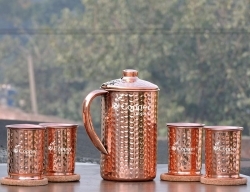 This is a very nice set, very sturdy and strong, lid fits perfectly, it is classy looking, easy to clean, and exactly what I was looking for. 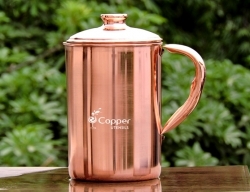 I put it on a silver tray on my kitchen counter to keep it handy and it looks so pretty. 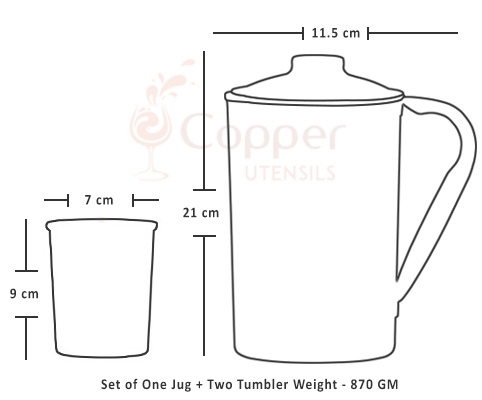 Product exactly as described. 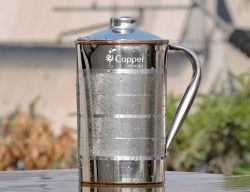 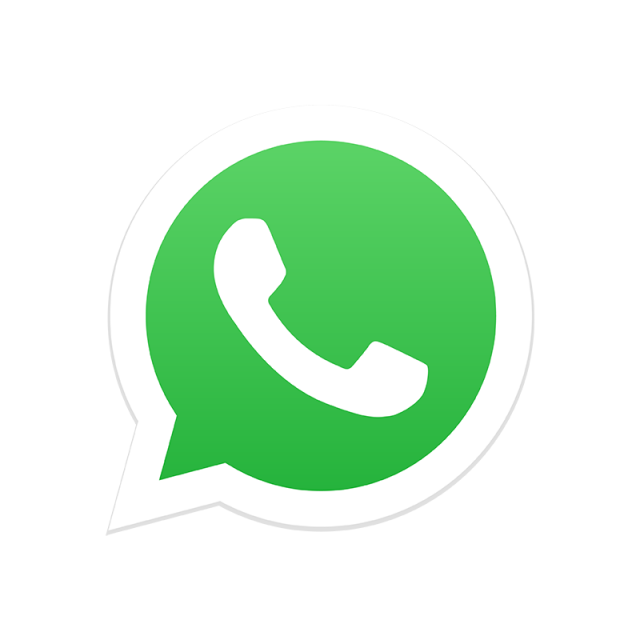 Value for money and would recommend. 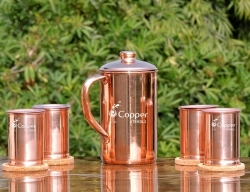 I am so pleased with the product and the delivery was quicker than expected. 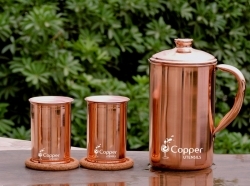 Fast services and excellent item very nice. 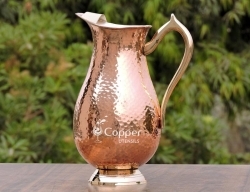 This is the excellent jug for dinner.